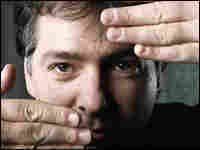 Doing Things My Own Way Musician Bela Fleck has gained critical acclaim for moving the banjo from its traditional roots into jazz and classical genres. He believes figuring out how to do things his own may made that possible. I believe in figuring out my own way to do things. This approach can yield great results, but it's got its negative sides. Much of my individualist, bone-headed nature comes from my grandfather. Opa grew up in New York's rough-and-tumble Lower East Side, didn't go to college, but owned and ran two successful businesses: a restaurant and a car wash. He figured out what he wanted to do, and how to do it without studying a manual. He used his own creativity to solve problems as they came up. After he died, realtors tried to sell his home. They discovered he had devised his own way of hooking up the septic system. No one could figure out how it worked, so it couldn't pass codes. But it worked, and for many years beyond his time. Sometimes I wonder if my banjo playing would pass codes. I didn't learn to play bluegrass, classical music or jazz in school. I took banjo lessons from some of the best, but my breakthrough moments came when I left the lesson plans. I remember seeing jazz great Chick Corea when I was 17. There was a moment of revelation when I realized that all the notes he was playing had to exist on my banjo. I went home and stayed up most of the night, figuring out the scales, modes and arpeggios for myself, mapping out the banjo fingerboard in my own way. When I perform with my own group, my map of the banjo is all I need. But when I move into more conventional jazz or classical situations, I don't always have the tools to fit in. I can barely read music. I don't thoroughly understand the conventions of each tradition and I'm not sure how to voice jazz chords -- which notes to leave out, how the scales work, all the rhythmic concepts. I heard that when George Gershwin wanted to study harmony from Ravel, he was advised against it. Ravel felt that Gershwin would obliterate the very thing that made him special by learning conventional approaches to rhythm and harmony. I'd like to think that the same is true for me, but I'm not convinced. I worry that my approach might not be built on a strong enough musical foundation. It's this fear that allows me no rest in my musical pursuits. When I'm at work --whether it is writing, practicing or editing and mixing CDs -- I obsess. To say that I am picky is an understatement. Delegating is pretty much impossible; I can be downright controlling. I have to get everything just right. Then, one day, the intensity disappears. This usually means the project is done. My grandfather didn't seem to worry that he was making it up as he went along, and I try not to either. I believe in living with and giving in to my obsessive side when it serves the music. I believe in doing things my own way, and I want them to last, just like my grandfather's plumbing.